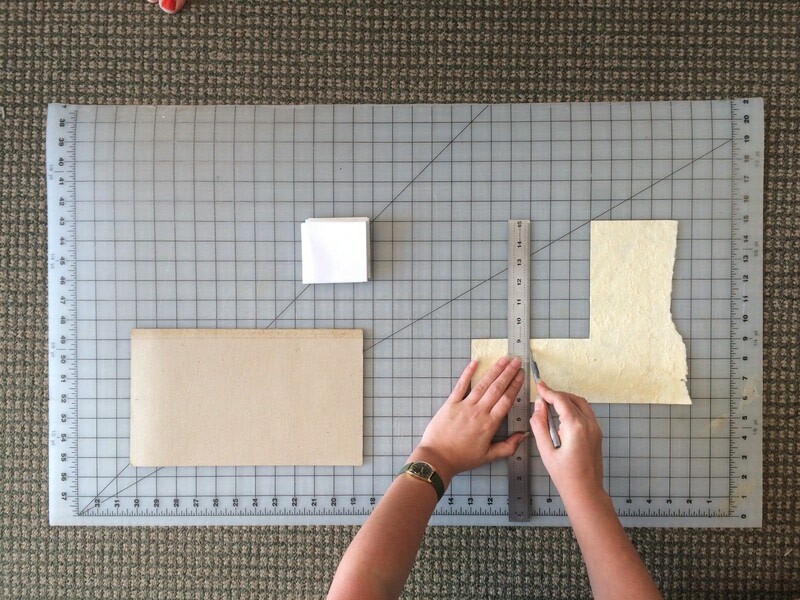 How To Make A Recycled Paper Pad With Shelf Life Art & Supply Co.! Never buy a notepad again! 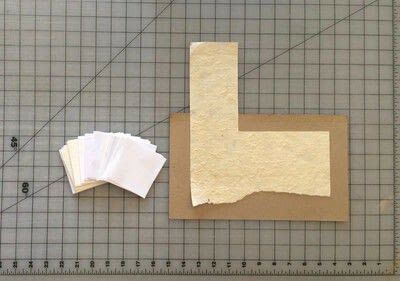 At Shelf Life Art & Supply Co., an art supply store in Greensboro, NC, USA, we go through lots of paper. 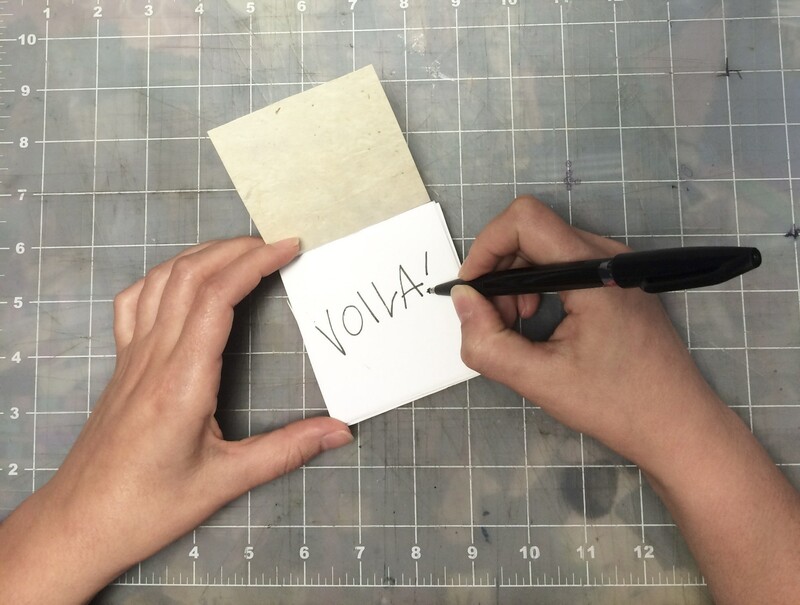 All of our scrap paper gets saved in a box, and when it gets full, we make notepads from the recycled papers! 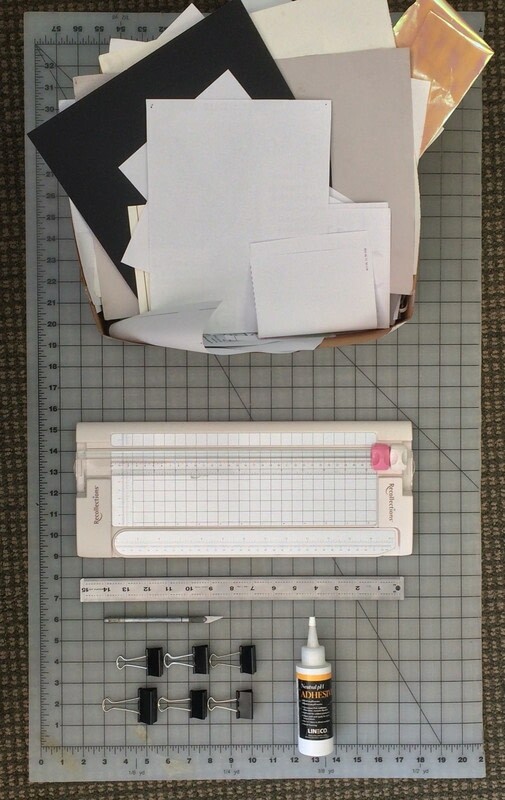 It's simple, fun, and can make a great promotional item (only with paper sans personal/customer information, of course). 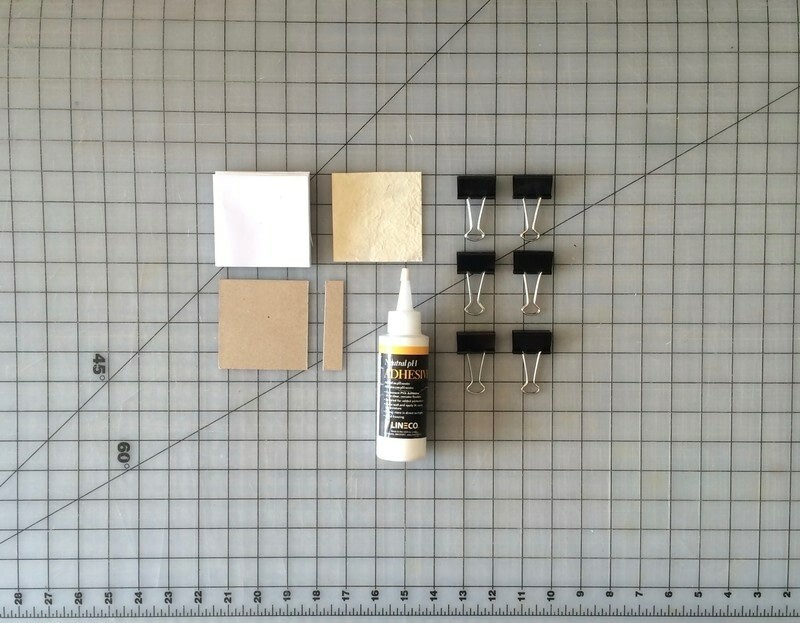 Gather the materials you need. First, collect a lot of paper. We like to recycle scrap paper for this project, but new paper would work too. 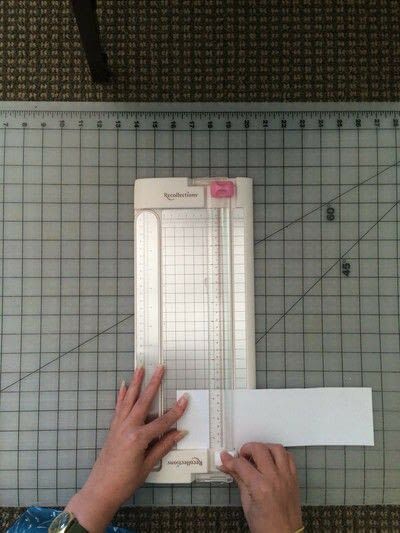 You can use an X-Acto knife and a ruler, or any paper cutter of your choosing, depending on what you have on hand. 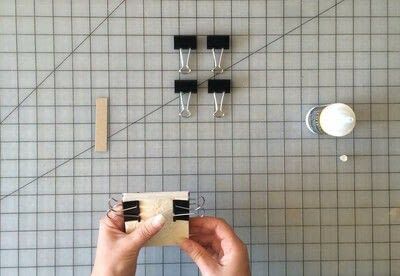 You will also need binder clips and glue. 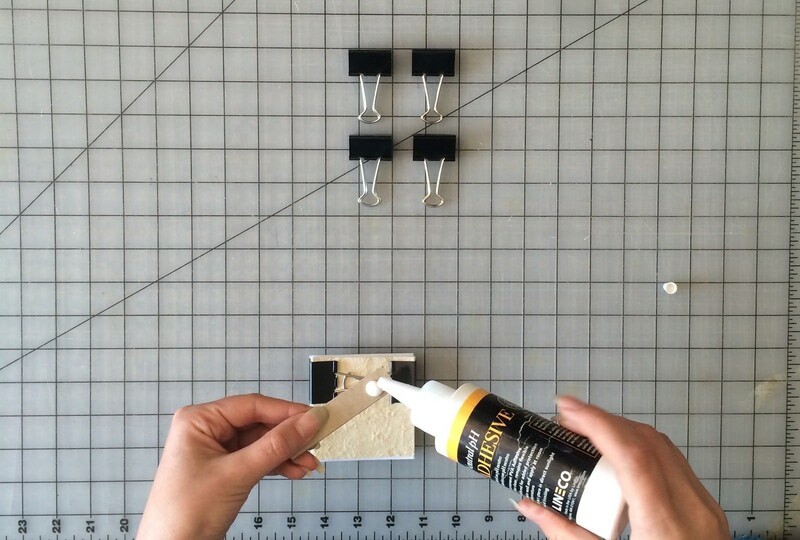 We use the Lineco brand PH Neutral PVA (Polyvinyl Acetate) Glue that we stock at Shelf Life. Any brand will do, but it is important that PVA is used. 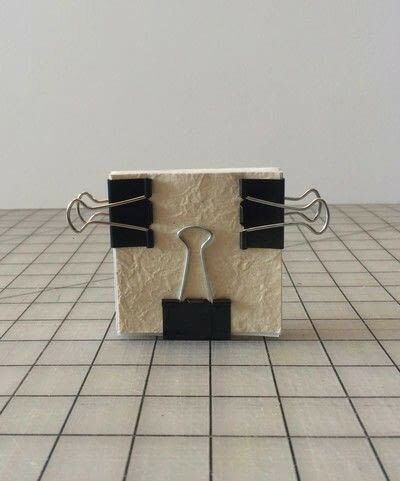 It is strong and flexible! 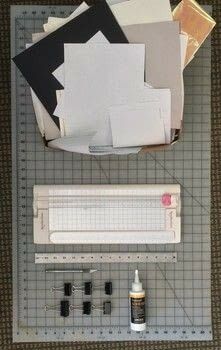 ...or you can use a paper cutter, such as this one made for scrapbooking. 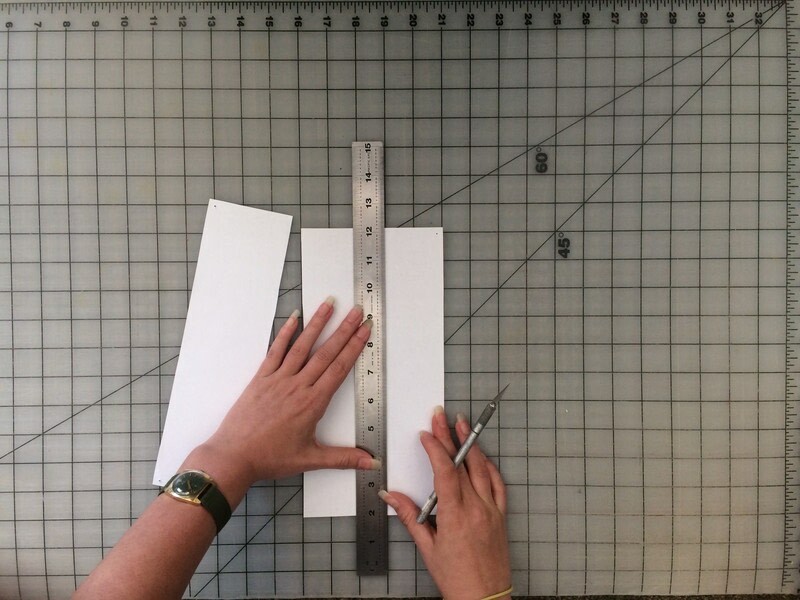 Cut a bunch! 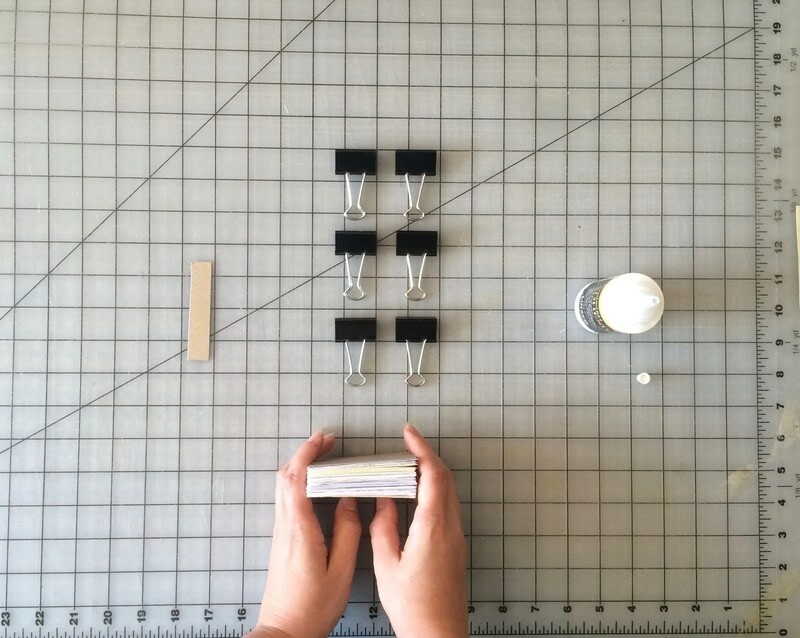 We generally make a stack around 1/2 inch (~1.25 cm) tall. 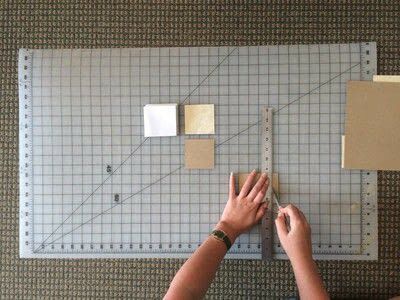 Gather a decorative piece of paper for your cover, and a piece of chipboard for the backing. 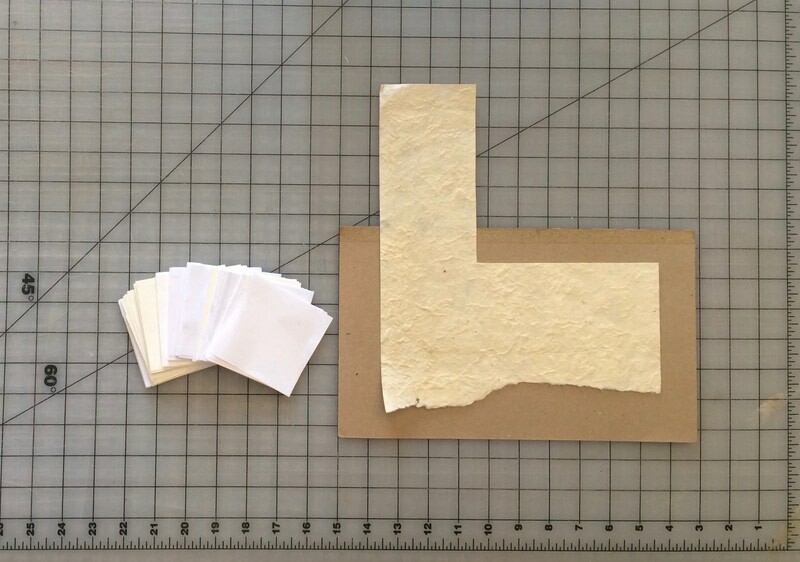 Our chipboard came from the back of a used up pad of paper. Cut the cover and backing to the same size as your sheets, in our case, 3" (~7.6 cm) square. Cut a 1/2 inch (~1.25 cm) sliver of chipboard to use as a "spatula" for the glue in Step 11. 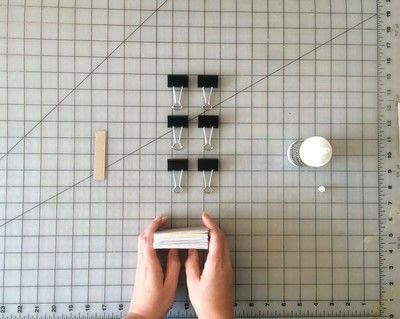 It's time for the glue and binder clips! Make sure all your paper is facing the same direction (if the paper is printed on one side, the "clean" side should face front). 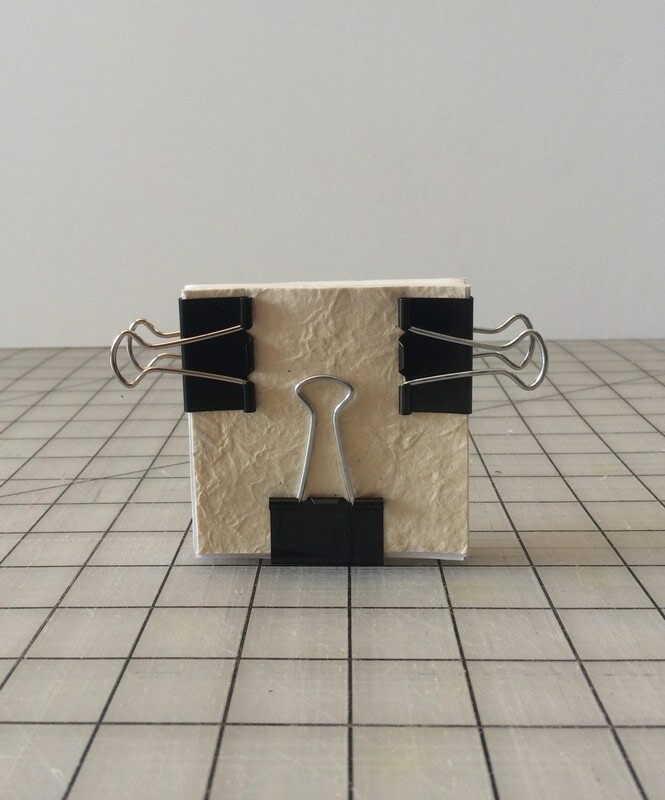 Add the cover and backing to your stack. Tamp down the stack so that one end is very flat. 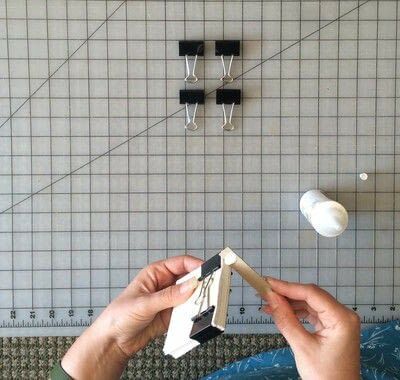 Carefully use binder clips to secure the stack near its very flat edge. Place a dollop of PVA glue on one end of your chipboard "spatula." 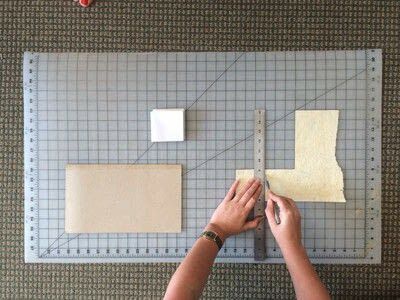 Spread a generous, but not runny, layer of glue on the very flat edge of your paper stack, making sure to cover the entire surface. It may be necessary to apply another dollop of glue, if the first is not enough. Smooth it out evenly with a few passes of the "spatula." Place a third binder clip on the bottom of the stack, so that the glue will dry face up, without running. 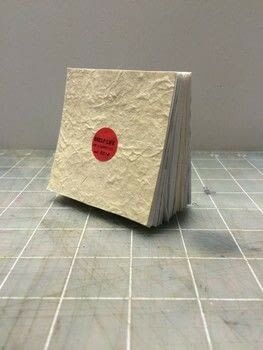 ...and enjoy your new recycled notepad!